As part of their rather unique advertising campaign, huge iPod nano posters now adorn the platform walls of Toyoko Line Shibuya Station. As you depart the train you’ll be faced with a stream after stream of 1:1 iPod nano cutouts, in which you can pull off and take home. Obviously, I helped myself to a few as well. Needless to say, with its tens of thousands of people passing through Shibuya station daily, those iPod cutouts won’t last very long. Fortunately, I was lucky enough to be able to catch a glimpse of the staff furiously “refilling” the empty spaces with new cutouts in between the waves of departing passengers (I took the pictures after the evening rush. I can only imagine how busy these guys can be during rush hour!). Much to my suprise, I later realised that these cutouts weren’t made of cardboard but of plastic, and are very rigidly built too. On the reverse side were the URL and QR Codes of a site where you can download iPod nano wallpapers for your mobile phone. Having living somewhere way out from Tokyo, I was very lucky to be able to get my hands on these cutouts AND witness those “refillers” in action. Hats off to Apple and their wonderful advertising. Update: Apple Japan has more pix of the nano promotion, which give a good idea of its placement in the subway. Interesante la forma en que Apple estÃƒÆ’Ã‚Â¡ anunciando su iPod Nano en Tokio, en la estaciÃƒÆ’Ã‚Â³n del metro hay un poster gigante que tiene unos “iPod Nano” de papel a tamaÃƒÆ’Ã‚Â±o real, los cuÃƒÆ’Ã‚Â¡les la gente puede desprender y llevarse. Came across this on the Cult of Mac. Interesting way to get the size of the Nano into people’s hands. This is cool! Why doesn’t Apple do this in the US? Apple donne des Nano gratuits au Japon !! 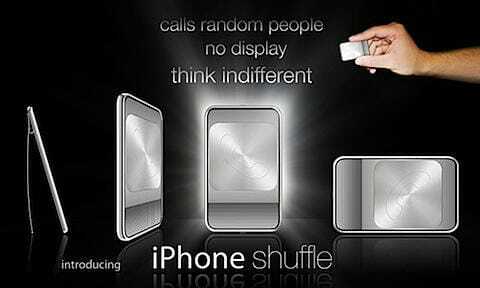 Superbe campagne de buzz marketing pour le iPod Nano par Apple Japon, il y a mÃƒÆ’Ã‚Âªme une page dÃƒÆ’Ã‚Â©diÃƒÆ’Ã‚Â©e ÃƒÆ’Ã‚Â lopÃƒÆ’Ã‚Â©ration sur le site dApple. repercusiÃƒÂ³n especÃƒÂ­ficamente en el metro de Tokyo. It is really nice!!!. I would like to have this in Madrid (Spain) Subway. MEUS PARABENS AO DISIGNER QUE CRIOU ESSA PROPAGANDA!!!! !SUA IDEIA FOI EXATA!!!!!! JA PENSOU ESSA PROPAGANDA NO METRO DA SE EM SP NOSSAAA!!!!!!! ..So where does all this plastic go once people have visited the url and no longer need this pseudo-nano..